NEW PRICE! 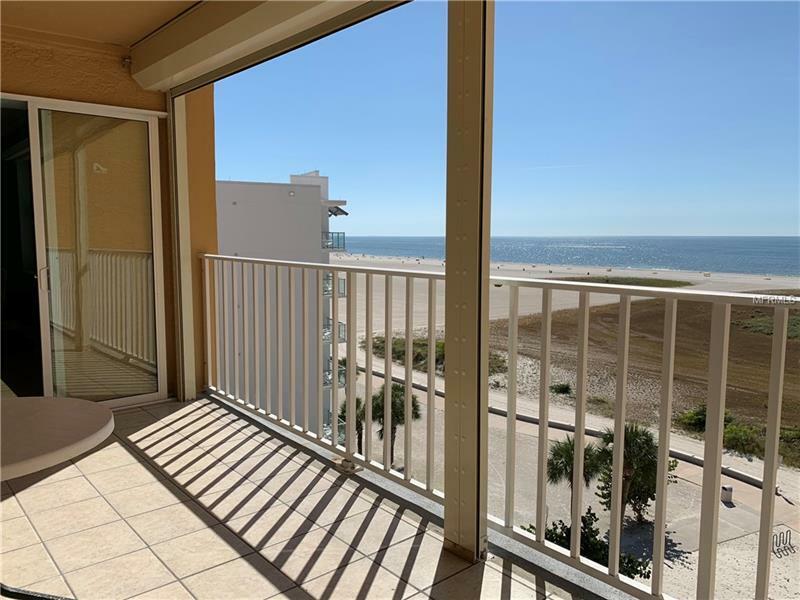 Beautifully updated, 2 bed, 2 bath turnkey condo located directly on the sugar sand beaches of Treasure Island. All you need is your flip flops! Everything in this condo has been updated and redone. Gorgeous bright kitchen with solid surface counters, newly remodeled baths, new impact windows, new impact sliding doors, new electric storm shutters, appliances all under warranty. HVAC and water heater 2015! All furniture and furnishings stay. It's that easy! Treasure Sands is a well-cared-for, concrete-fortified condo that enjoys solid reserves and modest condo fees at $497 a month! Great for permanent residence, seasonal income, annual rental or weekend getaway! Wide, beaches and city boardwalk/bike bath are just steps from the building. Enjoy magnificent sunsets from your private balcony or the community's elevated, beach-front pool. Walk to shops and restaurants. Laundry located on each floor, private storage on main floor as well as shared storage on each floor. Don't miss this one!